Welcome to a new Indeed Podcast. No Kerry this time, but Jacob from Eugene joins us. Weekly Roundup finds Hacking our cars once again to a new Google Challenge which seems the only winner is Google to finally a new source of spongy solar power. 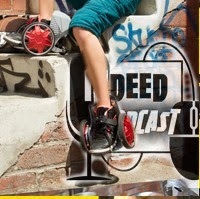 Creepy or Cool enjoys a look at cutting edge, app controlled roller skates. Roller Derby will never be the same again. SAY WHAT shows us Microsoft like to kick people while they are down, and unemployed in Greenland..or somewhere. Parting Thought is Apple crushing a School wifi. oops. Sit Back, Relax and finish that resume. While your Prius now has a mind of it's won, you may not make it to work, Wahahahah.